LAFORMELA je československá značka, ktorú založili Miroslava Kohutiarová a Antonín Soukup, ktorých estetická línia sa odohráva v hre s odvážnymi farebnými schémami a grafickými detailmi. Mestský štýl čerpá inšpiráciu z podkultúr, histórie a vonkajška. Každý výrobok je vyrobený z európskych materiálov tradičnými českými výrobcami. LAFORMELA have been featured in Vogue Talents by Vogue Italia in February 2018. In 2017 LAFORMELA won the international competition Société which was held in New York last year, and Czech Grand Design in 2015. Their seasonal collections have been presenting at the Mercedes-Benz Prague Fashion Week and also were shown at fashion week in Malaysia or at fashion week Central Europe in Budapest. 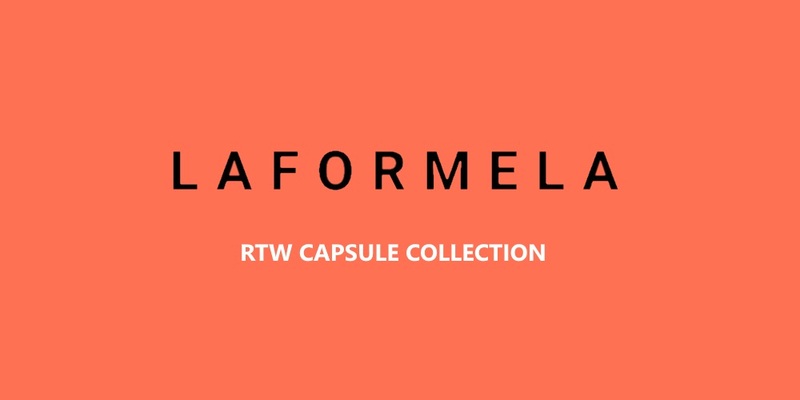 Last three collections by LAFORMELA have been also presented by Other/Wise showroom during Paris Fashion Week and its last season’s collection has been available on the Asian, Czech and Slovakian market. The work of LAFORMELA label has been featured in international magazines such as Vogue Italia, W magazine, Highsnobiety.com, Dazeddigital.com, Nowfashion.com, and are regularly published in Czech ELLE, Harper’s Bazaar, Instyle, Marie Claire, etc.